Halogen Relaxed V Neck Top $19 $39 Free US shipping AND returns! 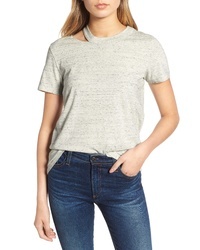 n:PHILANTHROPY Zander Shoulder Cutout Tee $88 Free US shipping AND returns! 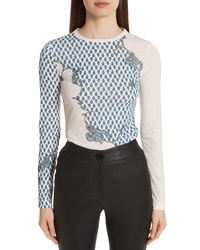 Yigal Azrouel Paisley Print Matte Jersey Top $298 Free US shipping AND returns! 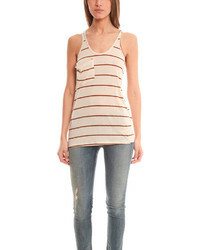 PST by Project S... Drop Shoulder Ribbed Top $23 $39 Free US shipping AND returns! Treasure & Bond Tie Front Henley $49 Free US shipping AND returns! 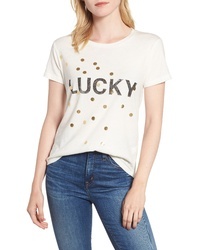 Lucky Brand Metallic Lucky Tee $39 Free US shipping AND returns! Chaser Glitter Stars Sweatshirt $68 Free US shipping AND returns! 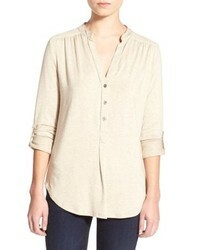 Lira Clothing Kelsey Henley $46 Free US shipping AND returns! 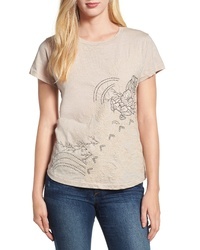 Lucky Brand Scoop Neck Tee $39 Free US shipping AND returns! BP. 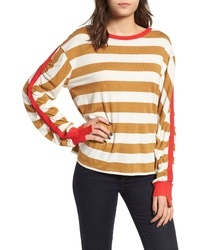 Cinch Sleeve Stripe Tee $23 $39 Free US shipping AND returns! Barbour International Grandstand Logo Graphic Tee $59 Free US shipping AND returns! Amour Vert Elena Roll Tab Sleeve Top $98 Free US shipping AND returns!